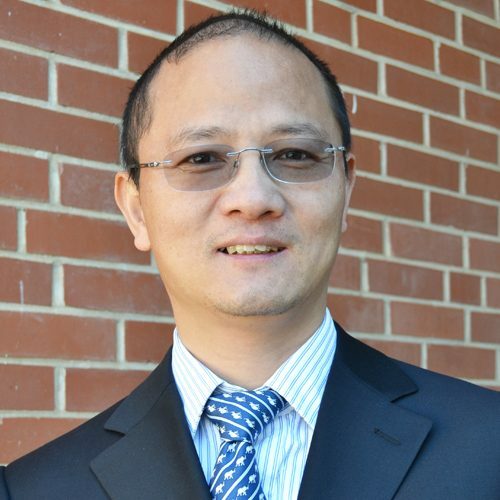 Dr. Wenqiao (Wayne) Yuan is a professor in the area of bioenergy/bioproducts and sustainable agriculture. He received his Ph.D. degree in Agricultural and Biological Engineering from University of Illinois at Urbana-Champaign in 2005. His primary focus of research is on issues and needs related to biological/engineering systems that produce, process, or utilize agricultural commodities and other biologically based materials for energy, food, and value-added products. His lifetime goal is to discover and promote the use of next generation energy, food, feed, and other renewable products for a sustainable future! Liu, Y., Geng, Y. X., Zhou, Q., & Yuan, W. Q. (2018), Journal of Chemical Technology and Biotechnology, 93(3), 849–854. Amini, H., Wang, L. J., Hashemisohi, A., Shahbazi, A., Bikdash, M., Dukka, K. C., & Yuan, W. Q. (2018), Computers and Electronics in Agriculture, 145, 363–372. Liu, X., Yuan, W. Q., Sharma-Shivappa, R., & Zanten, J. (2017), International Journal of Agricultural and Biological Engineering, 10(6), 184–191. Luo, G. H., Zhang, L., Chen, T. R., Yuan, W. Q., & Geng, Y. X. (2017), BioResources, 12(2), 2930–2940. Ren, X., Ghassemi, P., Yuan, W. Q., Zhou, J., Chong, P., & Noh, M. (2017), In 2017 19th International Conference on Solid-State Sensors, Actuators and Microsystems (TRANSDUCERS) (pp. 1859–1862). The long-term goal of the proposed research is develop a sustainable alternative to asphalt binder in pavements. For an alternative binder to be viable as a replacement to asphalt cement, it must (a) be derived from renewable sources that can be produced economically in mass quantities, (b) require less energy and produce fewer emissions than the production and construction of concrete using current asphalt binder technology, and (c) demonstrate equal or superior performance over asphalt binder. To best meet these objectives, bio-binders will be produced using thermo-chemical conversion of biomass. Biomass feedstock and thermo-chemical conversion operating parameters will be varied in order to link inputs to produce a viable paving binder. Rigorous analyses of bio-binder chemical composition and properties will be conducted to assess the viability of bio-binders produced for use in pavements. In addition, preliminary trials of producing bio-binder â€“ aggregate mixtures will be conducted using conventional laboratory methods for producing asphalt mixtures. Performance testing of bio-binder â€“ aggregate mixtures will be conducted to assess their performance and to link critical bio-binder properties to the resultant performance of mixtures. In addition, life cycle analysis will be conducted to assess the sustainability of bio-binders compared to petroleum-based asphalts. The main objective of this research is to fabricate a highly efficient and durable, membrane-based artificial photosynthesis device using novel lipids and enzymes from thermoacidophiles. The system will be capable of converting sunlight, carbon dioxide, and water into carbohydrates for the production of biofuels such as ethanol. Microbe growth, protein and lipid purification and characterization, membrane biophysics, biochemical assays, various spectroscopic techniques such as fluorescence, circular dichroism, UV-visible and infrared, as well as Micro-Electro-Mechanical-System (MEMS) technology will be employed. Currently, over 90% of pavements worldwide are constructed with an asphaltic surface, which results in use of 30 million tons of asphalt annually in the US alone. Asphalt is a byproduct of refining petroleum, a non-renewable resource and thus, supplies are diminishing. There is a need for development of alternative binders from bio-renewable resources. This project will investigate the use of bio-binders produced via hydrothermal conversion of biomass as an alternative to asphalt. Both micro algae and corn cob will be evaluated as biomass feedstock for production of bio-binders. Experimental characterization of bio-binders will be conducted to assess their potential use as paving binders. The main objective of this research is to fabricate an artificial photosynthesis device that is capable of converting sunlight, CO2 and water into sugars/glucose for the production of biofuels. Additive manufacturing (AM) enhanced by high-resolution heterogeneous material printing technology and multi-function nozzle array will be investigated to design and build the innovative device with multi-layer interconnected channels and micro-porous structures. This research will enable manufacturing and deployment of large-scale solar conversion systems that not only mimic the nature process of photosynthesis for the production of biofuels, but also make these reactions independent of the life of nature plants. The long term goal of this new program is to enable cost-effective bio-hydrogen production using waste/low-value materials, such as hemicellulose in biomass. The objective of this proposal is to understand the effect of pH on bio-H2 generation of a sequential fermentation-microbial electrolysis system (SFMES) using xylose as the carbon source. Clostridium tyrobutyricum will be used to decompose xylose to make organic acids and H2 in the first step. The organic acids will then be fed to a microbial electrolysis cell (MEC) in the second step to generate H2 on the cathode side. With the input of a low-cost, widely available carbon source, hydrogen will be produced in both steps. The project will lay the foundation for the PI (a new tenure-track faculty) to establish a new research program focusing on bio-H2 production, and will generate preliminary data for future grant proposals. The goal of this proposal is to foster collaboration between two junior faculty in Biological Engineering (Dr. Wayne Yuan, CALS) and Mechanical Engineering (Dr. Tiegang Fang, COE) to generate preliminary data for upcoming NSF proposals. The proposed work will focus on a grand challenge in algal biofuel production ? algal cell disruption and lipid extraction. The effect of spray nozzle design and processing conditions on algae cell disruption and lipid extraction, as well as the mechanism (fluid dynamics) of the proposed nozzle spraying system will be studied. This project integrates research in algal cell mechanics, cell-based multiparametric detection, advanced fluid dynamics, and mechanical system design. It will lead to submission of grant proposals to the CMMI and CBET divisions of NSF, and will eventually contribute to economical algal biofuel manufacturing that will greatly benefit the U.S. economy and energy security, as well as society and the environment in general. The main objective of this research is to fabricate an artificial photosynthesis device that is capable of converting sunlight, CO2 and water into sugars for the production of biofuels. Solid freeform fabrication (SFF) enhanced by high-resolution heterogeneous printing technology will be investigated to design and build the innovative device with multi-layer interconnected channels and micro-porous structures. This research will enable manufacturing and deployment of large-scale solar conversion systems that not only mimic the nature process of photosynthesis for the production of biofuels, but also make these reactions independent of the life of nature plants. The long-term career goal of the PI is to enable economically viable energy manufacturing from renewable sources such as algae. The PI's vision is to produce algae, for biofuel manufacturing, on solid carriers (e.g., thin sheets of metals or polymers) that float in the ocean. The research objective of this CAREER proposal is to test the hypothesis that micro- and meso-scale structures of solid carriers enhance attachment of algae. Such structures (e.g., dimples or channels) will be fabricated on the surface of the carrier. Knowledge obtained from this research will foster design and manufacturing of solid carriers ? the major equipment proposed for manufacturing algae biofuels in the ocean. The approach includes (1) experimental study of cell attachment to structured carriers, (2) physics-based modeling of cell-carrier interactions, and (3) prediction of the effect of carrier structures on algae attachment using the surface element integration (SEI) technique. The education objective of this proposal is to impart a system-level integration of a manufacturing-education-enhancement based theme at high school, undergraduate, and graduate levels by (1) exposure of undergraduate and graduate students to interdisciplinary research through NSF-funded IGERT and REU programs and the Biomass Technologies Certificate Program at Kansas State University (KSU), (2) K-12 outreach through existing outreach programs at KSU, (3) course and curriculum development in energy manufacturing, and (4) involvement of women and minorities through KSU mentoring programs. The goal of this project is to improve the economic and environmental sustainability of biomass gasification through value-added utilization of biochar byproduct and effective syngas cleanup and enhancement. The novelty of the proposed work lies in two aspects: (1) it develops an inexpensive catalyst for effective syngas cleanup and conditioning and (2) it provides a value-added use of gasification by-product. The goal of this proposed research is to evaluate the potential of big bluestem ecotypes for biofuel production through both sugar and thermal-chemical platforms. The proposed research addresses the research priority area of Biofuels Feedstock Development with emphasis on assessment of the possible geo-spatial and agronomic potential of big bluestem as a renewable energy resource and composition and physical property analysis (proposed objectives 1 and 2); and research priority area of Biofuels Conversion Processes with emphasis on fermentable sugars and bio-oil yields and conversion efficiency (proposed objectives 3 and 4). Although big bluestem biomass has recently received growing attention as a renewable feedstock, there is still very limited scientific information available on the utilization of big bluestem, especially the effects of ecotype and growing condition on biomass composition and biofuel production. Big bluestem appears to have been underutilized as a renewable feedstock for biofuel application. The proposed research may lead to significant breakthroughs for utilization of big bluestem for biofuel production.